Shamrock has ten deck beams with oak ‘lodging knees’ mounted horizontally between beam and Shamrock's side providing horizontal stiffness and ‘hanging knees’ to provide vertical stiffness as well as preventing her sides sagging. 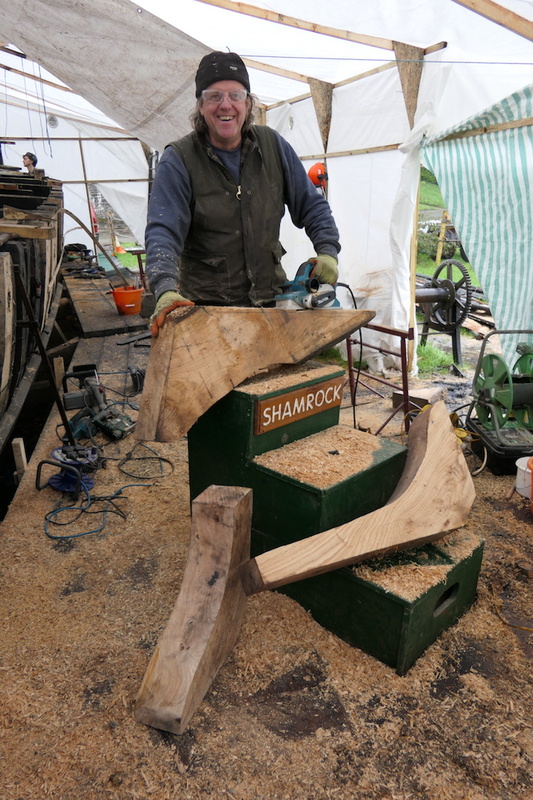 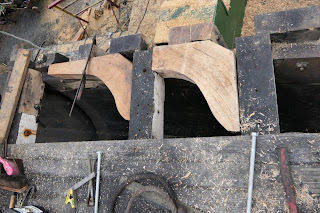 With the two new after sections of beamshelf bolted into place there was relief all round when with the fitting of the first three ‘hanging knees’ it was found that Shamrock had kept her shape. With her side now held firmly in place the remaining ‘hanging knee’ has been removed along with the last section of the beamshelf that is due for replacement. 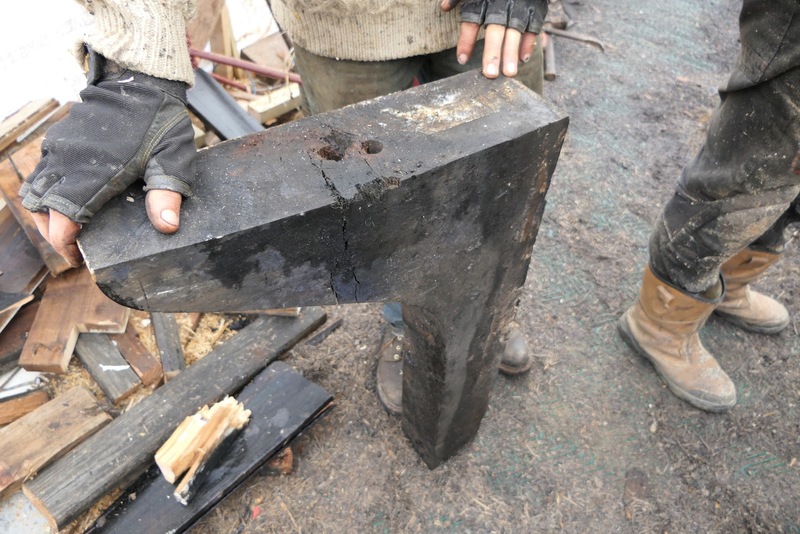 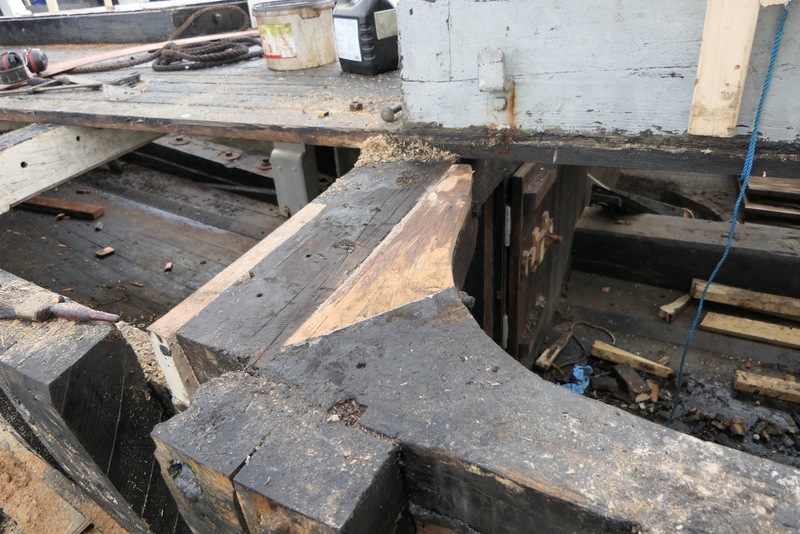 The removal of this part of the beamshelf exposed substantial amounts of rot in various sections of beams and frames. Also revealed was damage to a lodging knee that has split on the line of a through bolt hole. 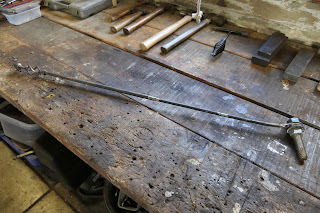 (Yet another job of repair or renewal). 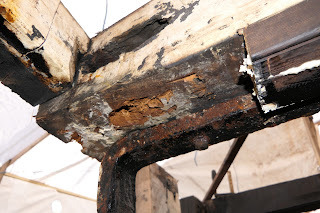 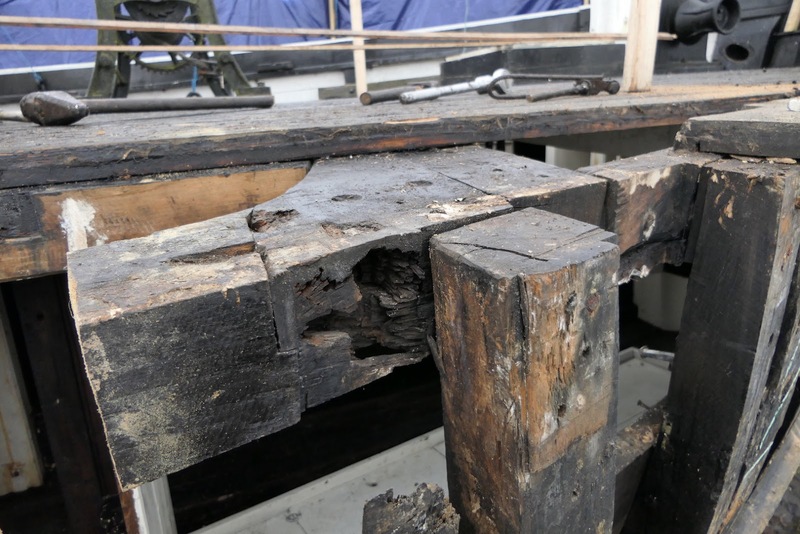 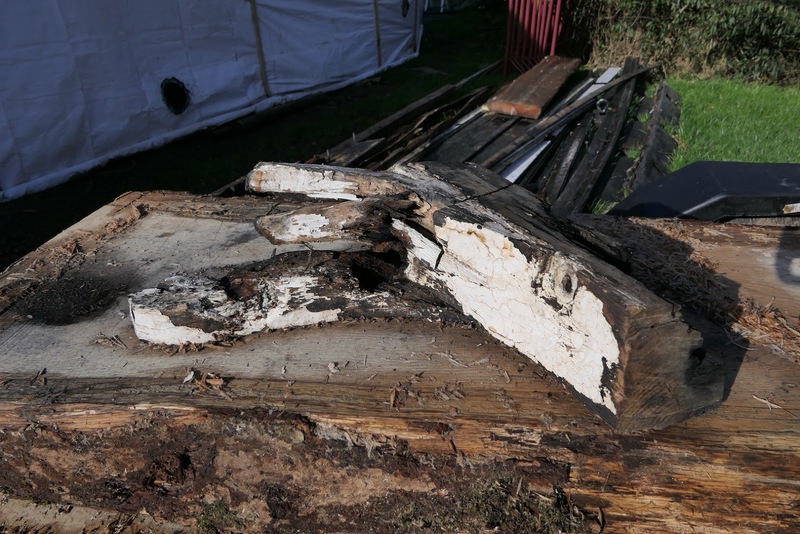 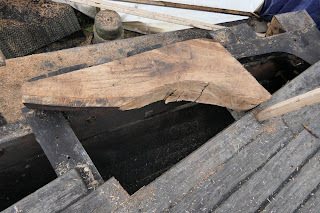 Rot had already been discovered in the ‘lodging knee’ attached to the cargo hold ‘after’ coaming support beam, and has been repaired with a new section of oak scarfed into place. 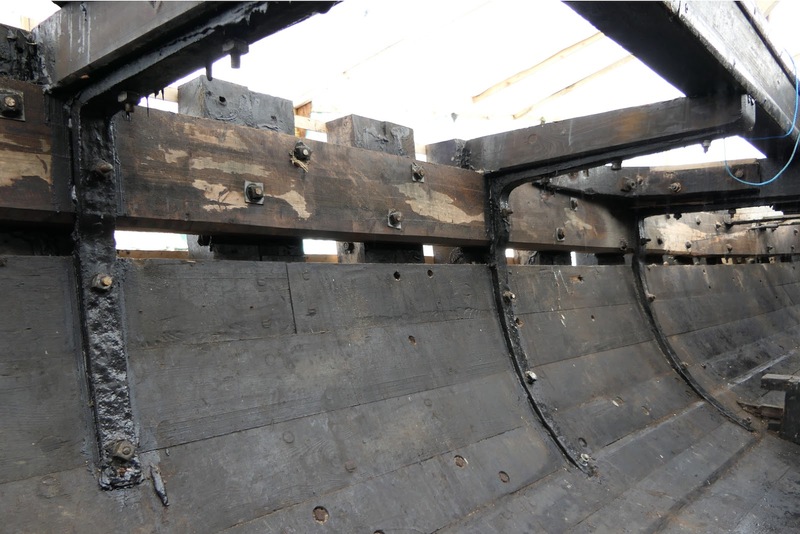 In preparation for the final stages of repair, a large nail punch has been manufactured ready to be used when the hull planks are fitted. 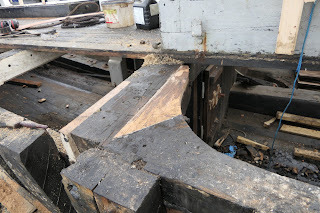 Hanging knees and beamshelf in place. Shuggs mass production of lodging knees.